Doblò produced by Fiat, it is the best seller in its class. 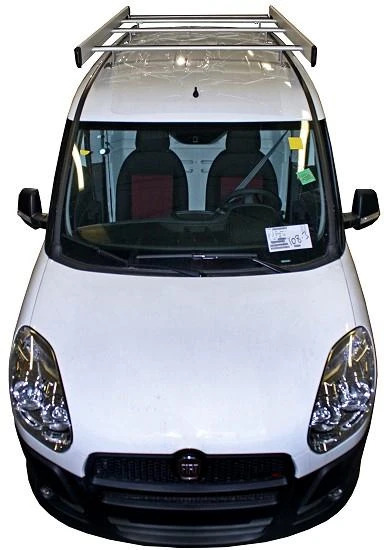 Launched to the public in 2000, it is available in many variants both for people and goods transport. 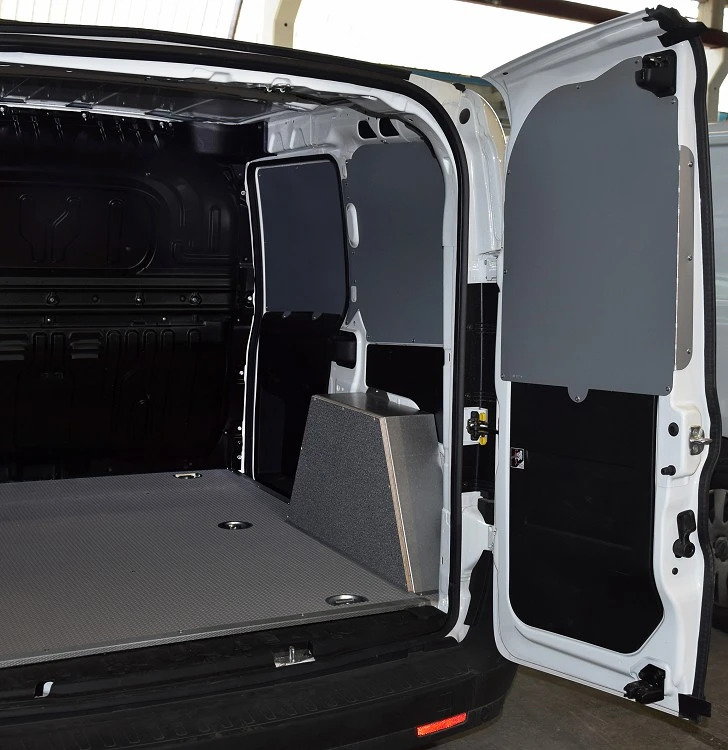 With good driving performance, it is not too bulky but with a regular load platform. 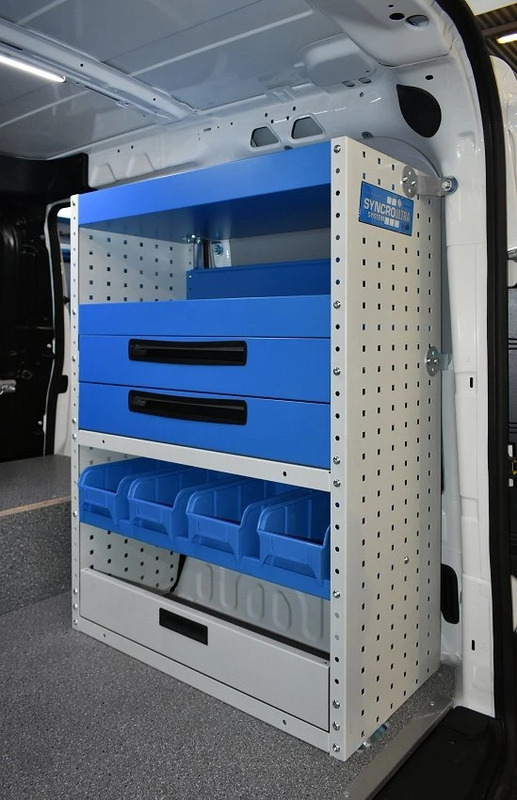 Syncro System group has fitted several racking solutions with drawer and shelving units. 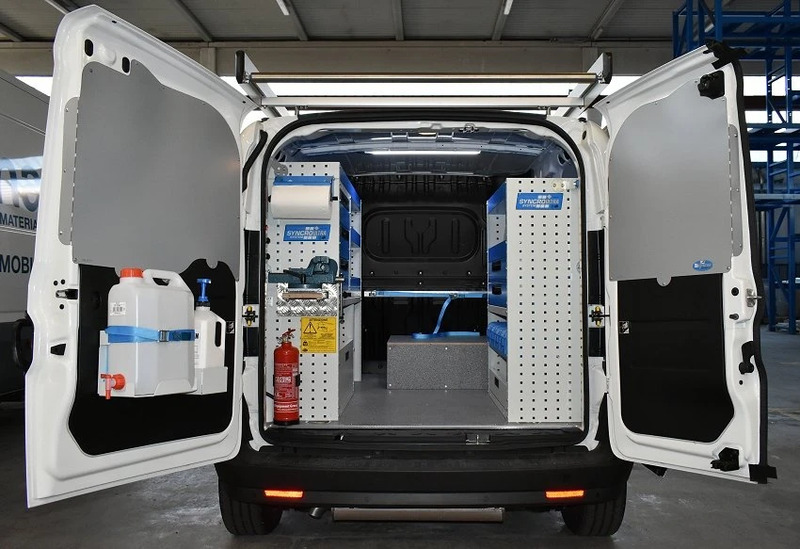 Thanks to its modularity, Syncro system fit easily the contours of vans with the maximum space utilization. 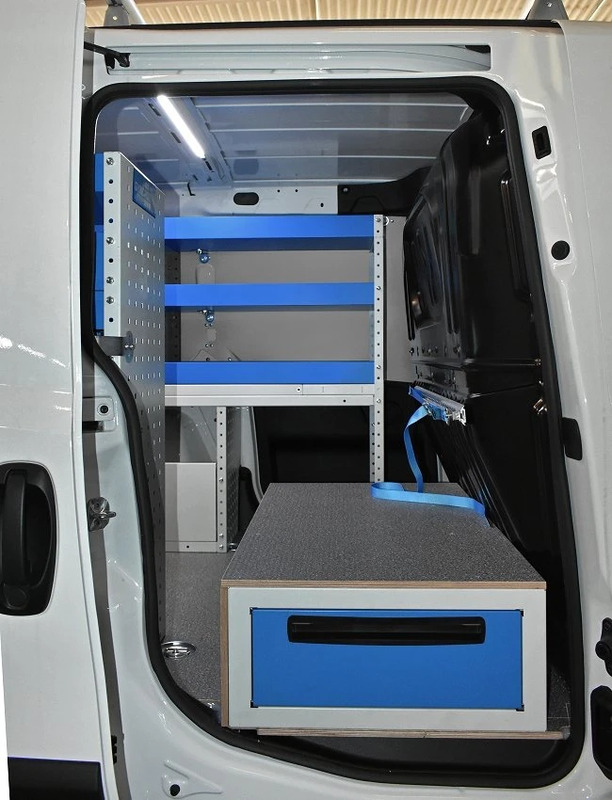 The regular shape of loading area allow to fit a racking 1.268 mm wide on the left and 760 mm on the right, leaving free the entry points and enough loading space in between racking. 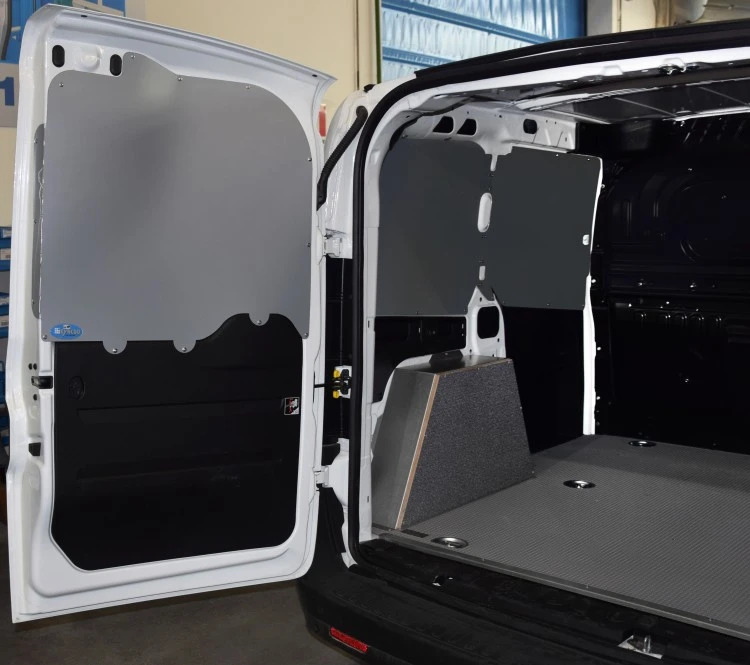 Here some other examples of van racking for Fiat Doblò. Please see on the images the side lining in painted iron sheet and the laminated wooden floor with resin coating. Lining are also available in anodized aluminium and floor in chequered aluminium. 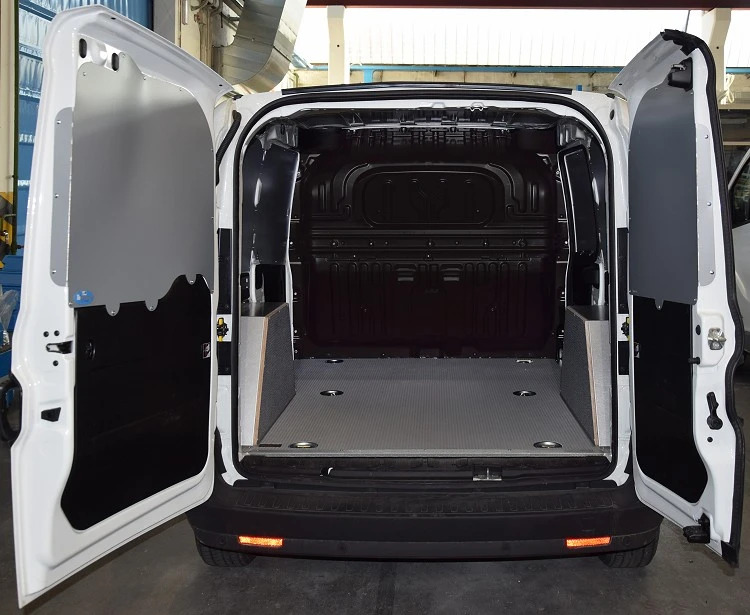 Syncro System ladder racks for Doblo’ are provided with the Ultrasilent bars, that minimize vibrations while driving. 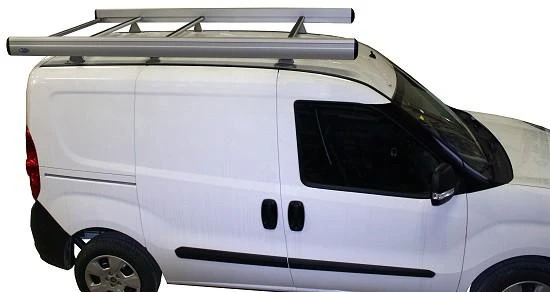 Syncro roof rack system is totally modular and can be customized, so that you could fit also ladder slide-out, transport tubes or roof bars only without side panels and loading roller. 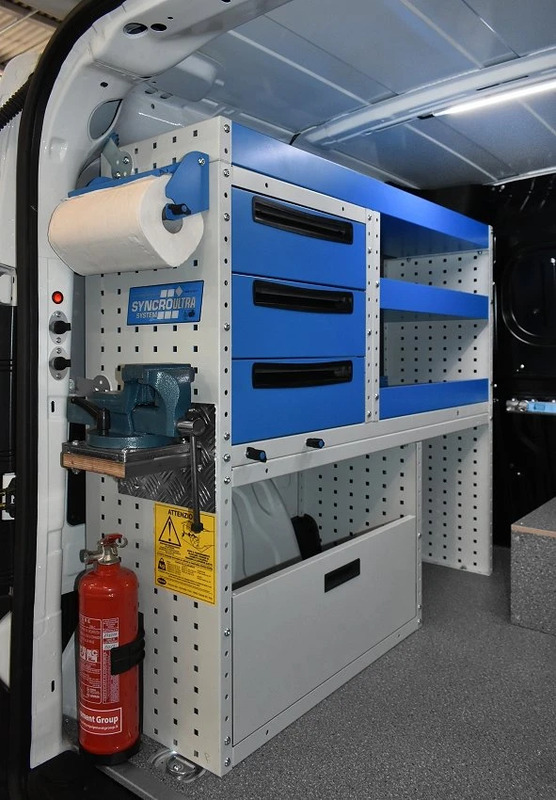 In addition to lining, shelving, drawer units and roof racks for Doblo’ 2010, you may find in the Syncro product range also a variety of van accessories like hooks, straps, lamps, hand-wash kit, first aid kit, fire-extinguisher holders, cabinet for computers, loading ramps, workbenches with vices. ALL YOU NEED TO WORK SAFELY AND EFFICENTLY, SAVE TIME AND INCREASE YOUR EFFICIENCY!